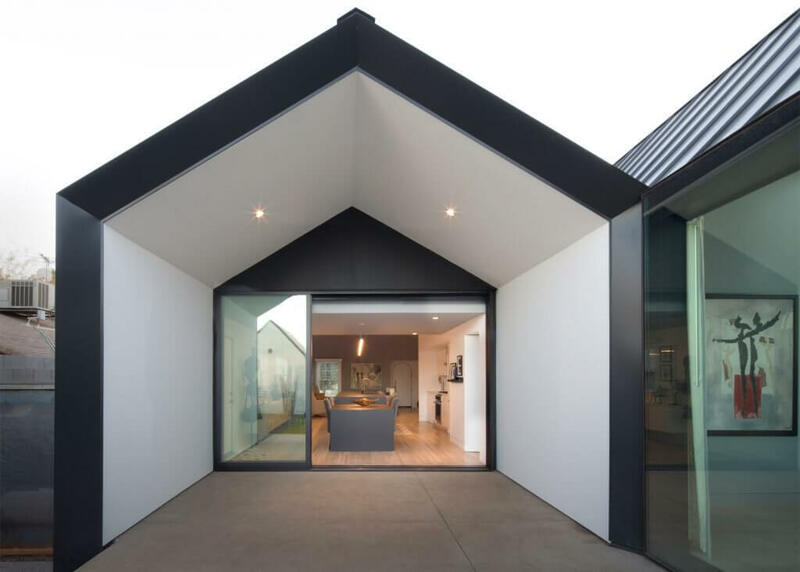 The two open rooms that comprise this modern home addition mirror one another on the outside. 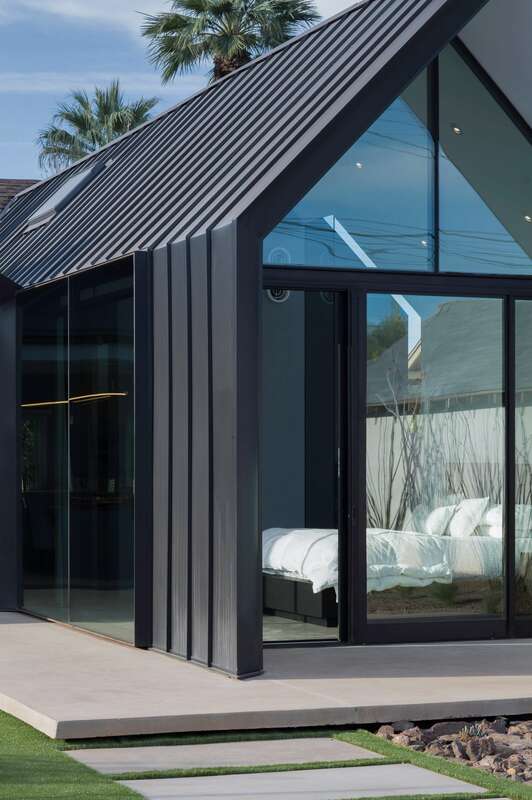 Both flow naturally into the backyard through glass walls. 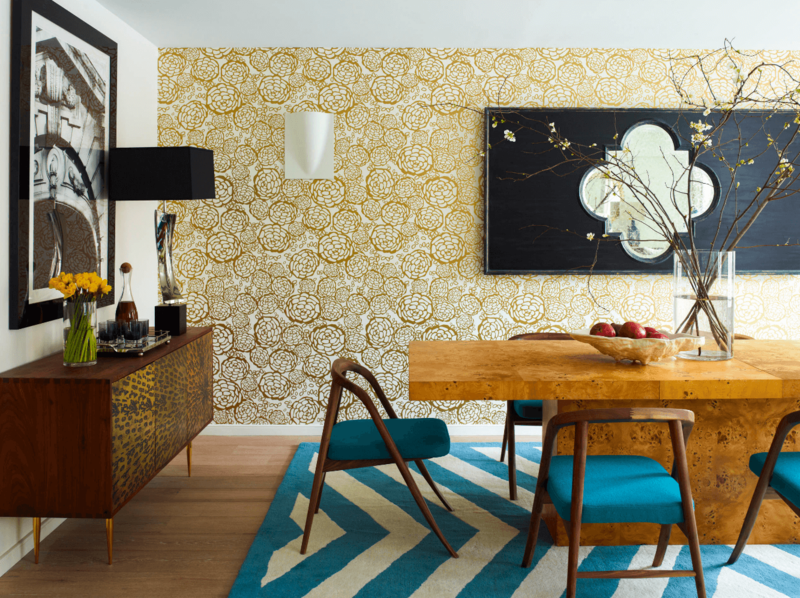 Add a pop of color and pattern to your home with these bold wallpaper ideas.